Every writer out there knows the simple and often daunting truth, that when it comes to writing, it is at times a lonely path. Louise Philips tells how Inkwell helped smooth the way to success. The relationship between the writer and the proverbial blank page, whether it is a sheet in a journal, or on your laptop/pc screen, is a relationship which you enter into alone. Your characters, your story, the emotions, humour, sadness and fear, etched within the lines you create, all come from a place inside you. However, very early on in my writing career I learned another truth. Even though writing is by nature something you do alone, your writing journey is completely different. When I started writing, I joined a writing group in Lucan, and met a great bunch of people. I realised I was not alone, that other people out there shared my passion for writing, and every second Saturday huddled in the back room of Lucan Library, stories and poems were created and enjoyed in an atmosphere of support. A couple of years back, I heard about another writing community, Inkwell, when author Sarah Webb told me about a new and exciting crime writing workshop being organised by Vanessa O Loughlin. I signed up straight away not realising that a whole new chapter of my writing journey would begin. I remember the first morning I arrived at Killiney Castle for the early morning cup of tea/coffee, and I met Vanessa. The first thing which struck me about Vanessa was how friendly she was. Right from the beginning she put me at my ease, and I knew that I would enjoy the day ahead of me. At the time I attended the first workshop, I had no idea how Inkwell, this brainchild of Vanessa O’Loughlin would change my life. Vanessa, recognised from early on there was something missing in the writing community, and set about establishing not just a series of workshops and talks for writers, but a network where established writers, aspiring writers, publishers, editors, and all other facets and aspects of the writing world came together with one goal in mind, to support upcoming writers. Sometimes in life doing things alone is not always the best path. Through that first meeting with Vanessa, my writing journey changed. A couple of months after the workshop, I attended a Publishing Day, again organised through Inkwell. I may not have learned very much about actual writing on the day, but I learned a great deal about the world I would live and breathe, should I achieve my lifetime ambition of becoming a published novelist. I learned about agents, editors, margins on sales. I learned about the type of genres which were popular at the time, and the size of audience out there for them. We were told, you should only ever write about things you feel passionate about, things which intrigue you, fascinate you, things which will get you and the reader to turn the page. But I also learned, the nuts and bolts of the industry, receiving information which wasn’t available anywhere else. I have met many wonderful people along the writing path, new writers, established writers, facilitators, and in the main, there is a tremendously generous writing community in Ireland, but Inkwell brought something new, it brought together this world in an informative, interactive, and supportive environment which had not previously existed. One of the aspects of Inkwell which I found invaluable right from the very beginning was the Inkwell Newsletter, again a brainchild of Vanessa O’Loughlin. It gave me information about upcoming events, competitions, minor and major success stories of fellow writers, many of whom became part of my network of writing friends. The newspaper was a constant connection to writing life, which helped my writing world grow, and soon I became one of the success stories within it. Whether it was winning a local writing competition, or being asked to do a reading at the library, Vanessa put the information into the newsletter. When I was shortlisted for the Molly Keane Memorial Award, Vanessa published my short story within the Rising Stars Section of the Inkwell website. Later, when I embarked on my first novel, I knew Vanessa and Inkwell would be a connection which I could always call on for support. Early this year, I availed of Inkwell/Writing.ie editing services. This was a service which was totally new to me, so I wasn’t completely sure what to expect. Within a couple of days of sending my opening chapters and cover letter to Vanessa, she phoned me back. Together we spent over an hour discussing the work in depth, not just the opening chapters and synopsis, but the pitch letter, proposed author profile, agents, and means of increasing my social media network. I went off with all this valuable knowledge, and I reworked my chapters, synopsis and pitch letter. I created a separate author profile for submission with the proposed pack for prospective agents/publishers. I joined Twitter, something which I had adamantly avoided until my telephone discussion with Vanessa. With the help of my blog www.louise-phillips.com , and joining Twitter, I very quickly got to know more people within the writing community, not just at home but throughout the world. Little did I know that very soon after getting so much great advice from Vanessa that the most exciting element of my writing career to date would materialise. A couple of months back, I was thrilled when again via Vanessa, Ger Nichol, Literary Agent, agreed to read my first manuscript, a psychological crime thriller called RED RIBBONS. I was even more thrilled when Ger contacted me to say she loved the script and wanted to represent me. Working with Ger has been wonderful, and very soon after signing with her, my novel was accepted by a major publishing house, with contracts due to be signed by the end of this year. Knowing my novel will be published, and reaching this point, is something I have dreamed about since being a little girl. A little girl, who loved collecting her books every two weeks from the library, or getting a brand new one from the local shop. It is a journey which I know others have made, and one which many others wish to follow, but it is one which is in my opinion, is best not done alone. It is one, which I would not have realised in the supportive, learning, and positive manner I have, had it not been for Inkwell and the writing community which it fosters. I cannot emphasis enough, what an asset being part of the Inkwell Writing Community has been for me, and I would encourage you, at no matter what juncture your writing journey is currently at, to become part of it. 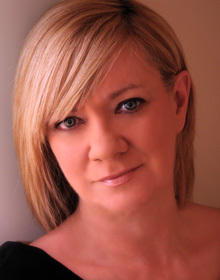 Red Ribbons, Louise’s debut novel was shortlisted for the Irish Crime Novel of the Year in 2012, and in 2013, The Doll’s House was also shortlisted and won the coveted award. Both books were bestsellers and Louise is currently writing her third novel.